A naturally supportive enzyme complex to support and enhance the body's natural digestive process. 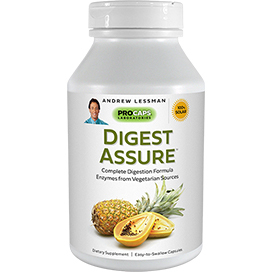 Andrew Lessman's DIGEST ASSURE is a mild, all-natural food supplement designed to support and enhance your body's natural digestive processes. DIGEST ASSURE contains a comprehensive balanced blend of enzymes, to help your body digest and benefit from the diverse and very complex foods we eat. Unlike most digestive enzyme products, which are derived from pig, ox and beef bile and enzymes, DIGEST ASSURE is entirely produced from all-natural vegetarian sources. Its active ingredients are balanced to help you break down the macronutrients (proteins, carbohydrates and fats) you consume into smaller molecules that can be absorbed to nourish and benefit your body. Macronutrients make up the greatest portion of your diet, and when broken down by our natural Protease, Amylase and Lipase enzymes, they can be used to provide your body with the structural components it requires, as well as fuel to produce energy. In addition to these three most important enzymes, DIGEST ASSURE also contains Cellulase to aid in fiber digestion, Lactase to break down dairy products, as well as natural Papain and Bromelain for additional support in converting proteins into absorbable amino acids. Many factors, including stress and aging, can make the complete digestion of the food we eat very difficult or impossible, which is why the mild, yet powerful natural enzymes in DIGEST ASSURE are so important to enjoying the benefits of a healthy diet. 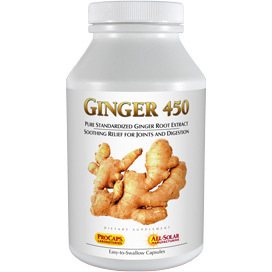 Consume one or more capsules before or during a meal, based upon the digestive burden of that meal. 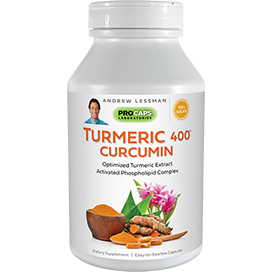 To determine the digestive burden of a meal, consider its overall size, as well as its protein, fat and complex carbohydrate content.This product is most effective as part of a healthy diet and active lifestyle, along with one of Andrew Lessman's multi-vitamin-mineral formulas. My Husband been taking Digest Assure for 90 days. He had been taking prescription drugs for years for acid reflux disease. The day he started with Digest Assure he quit taking the prescribed drug immediately. After 90 days he is completely satisfied with Digest Assure and thrilled that he is free of prescription drugs for acid reflux. It may not work for everyone, but it sure worked for him. Thank You Procaps!! 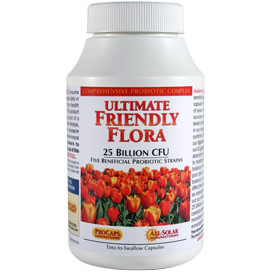 This is an excellent and complete digestive enzyme supplement which is quite potent. I take half of one capsule about ten minutes before eating breakfast and the remaining half about ten minutes before eating in the evening. These help with energy production and seem to help reduce inflammation as well which makes sense due to better utilization of nutrients. On a side not I'm very thankful that Andrew uses gelatin capsules and not cellulose. Thank You. I have suffered with Chronic Pancreatitis for a couple of years. The Doctors do not know what caused it but I have an acute attack every few months. I was placed on Creon which is digestive enzymes derived from a pig - they made me sick and actually caused pacreatic pain. I switched to Digest Assure and the vegetable derived enzymes work - they help digest my food without any side effects. Thank you Andrew. Andrew can prove I am a real customer. I have ordered the 360 caps at least 3 times now. I have a better overall system of digestion and relief, let me put it that way. I take this as part of the Digestion kit, and it has helped me from getting off Doctor prescribed stool softeners. This is important. I am a Veteran, and I have to take a lot of medications due to many physical problems, so when I can find a natural substance to replace a medication, that is a miracle. And I have been able to nix many different pills instead, I get to take pure, tested, safe, healthy, supplements that are changing my life and I firmly believe will give me a longer, healthier life. This has also aided, I believe in weight loss, as it helps me digest and use the foods I eat better. Thank you Andrew! Eating the heathy-good nutritious food together with Digest Assure vitamins your confident and comfortable natural digestion and absorbtion. Thank you good healthy vitamin.. I love this product. I don't have any digestive issues. Although, I have been reading that as we age we don't produce/secrete as many digestive enzymes. What that means to me, is that I won't get the full benefit of the nutrients in my food and supplements. I have AB blood type which supposedly has low stomach acid, so I take 2 with each meal. The side benefit to this is that I find myself loosing weight. It makes this a bit on the expensive side. I have seen some other products that come in a powdered form instead of capsule and would hope that this may be in the future for Digest Assure....of course, thinking that it would be less expensive. I mostly open the capsules and sprinkle or stir the contents into/onto my food. I have a major case of Celiac disease and lactose intolerance. I was at first skeptical to place the order for this item. I have now repeated my order three times. This product helps my system digest dairy and what little amounts of gluten I do have. I will continue to use the product. I have serious digestive problems. I had an abnormal gastric emptying study. Doctors just want to give me medications with terrible side effects. I find that Digest Assure helps me with no side effects. Thank you Andrew for all your wonderful products. Thank you AGAIN Andrew!!!! I was only taking one of these on heavy meals, then read the label :) took 2 and guess what? NO MORE PRILOSEC FOR ME!!!! My tummy couldn't be happier, MWHA!! Digest Assure is ESSENTIAL to me for my Acid Reflux !!!! I have a rare condition which makes my digestive system not digest any foods only vegetables and green foods. I have TMAU which is a rare metabolic disorder. My body produces a foul odor because my digest can't break down food properly. These supplements actually made the odor disapear so I can eat what ever I want and it helps digest it properly. I view these as a miracle since there is no cure for my condition. Thank you Andrew! Won't live without it again! I tried this product because I suffer from heart burn on occasion. I have had IBS for years and noticed a huge improvement in my IBS symptoms. I was regular, no bloating, no pain. I didn't realize it was this product until I ran out and all of my symptoms came back. I had some left in my office and when I took them within hours my symptoms once again improved. Who would have thought after years of suffering with IBS I would find something that helps so much. THANKS ANDREW! I had been taking a prescription for [digestive difficulties] for over two years. 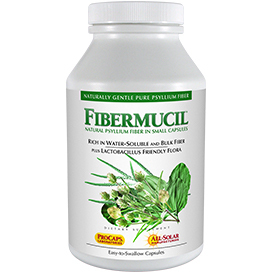 Six months ago the product was withdrawn due to motility of the digestive system. Needless to say I was one of the lucky ones that did not have any reaction but I still had all the symptoms. Since I have been a fan of Andrew Lessman for well over 20 years, I thought I would give Digest Assure a try. I should have gone to Digest Assure first. ... I know no medical claims can be made by Andrew, but this does work for me. My husband now uses this when he needs it. I will never be without it. Won't be without it ever again! I am 39 years old and started having some digestive issues (irregularity, gas, etc.) about 2 years ago. I tried some chewable papaya enzyme from a health food store, no luck. I saw this, ordered it and became regular again. I thought to myself that I must not have any digestive problems, until I ran out. Once again, I tried a digestive enzyme from our local farmers market, magnesium supplements and Milk of Magnesia, no luck. I ordered this product again and when I received it I took one with my dinner that night. The next morning, no lie, I was regular once again! I never thought I would be so happy to just simply "go to the bathroom." Thanks Andrew! This product is great! 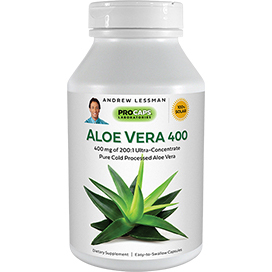 I have had more gas, indigestion, and bloating problems as I get close to 40, and taking this product has helped eliminate the worst of those problems. I highly recommend this for anyone with these problems. I can eat pizza again! I am fortunate that I don't need to take this product at every meal, but it is a god-send when I want to have pizza or some other kind of heavy meal. Another winning product. I had my gallbladder removed 10 months ago. I have had a terrible time digesting fats. After eating I was in pain. I had gas, pressure and bloating to the point that I would have to lay down. This product is a life saver. I can now eat normally, and enjoy my food. This product helps me digest everything I eat with no discomfort. I highly recommend it. I am now eating with a smile!! I don't eat a meal without taking this product first!!! I recommend this product to anyone who has gas, bloating, indigestion, or is lactose intolerant. It works wonderfully! I am lactose intolerant and am able to eat dairy without distress for the first time in years. Also, I suffered for years with gas and indigestion from other foods, but could not pinpoint the others. I had a myriad of medical tests done, which showed nothing except the lactose intolerance. Now, I only have trouble when I forget to take my "Digest Assure". I use several of Andrew's products and would recommend them all, but this is far and away the best one I have tried so far. I start to panic if I run low - I never want to be without it! Hello, My name is Joey. 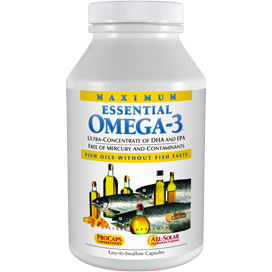 Sincerely, this product has helped me in the most important activity of my life which is a healthy diet. Recently I did have an illness that motivated me to buy this product. It helps me eat a full meal without discomfort. I am more regular. You don't need to be ill for this product to work. I am a researcher like Andrew and I sold herbal products in 1973 through 1977. Everyone is busy. We forget the most important issues of living like healthy food and the time to digest it properly. It doesn't take long to notice the wonderful help Digest Assure gives you. I rate this FIVE STARS or *****. Peace and Joyful Living.